The Group of Twenty (G-20), consisting of industrialized and developing nations, has been prominent in dealing with current economic crises. Talks took place in Russia February 15th and 16th addressing the current currency wars. Brazilian Finance Minister Guido Mantega commented, “The currency war has become more explicit now because trade conflicts have become sharper. Countries are trying to devalue their currencies because of falling global trade.” That way, exports become more competitive while imports will be reduced. The U.S. along with other developed nations tend to use quantitative easing as one of their main stimulus measures, in which a central bank buys assets such as government bonds using freshly created money. This results in increasing the supply of currencies such as the U.S. dollar and the U.K. pound; thereby, in the long run, lowering their exchange rate. The G-20 pledged to “refrain from targeting their currency policies to gain a competitive advantage.” All nations agreed to defuse tensions over unstable exchange rates, marking the first time they were in agreement on such an issue. 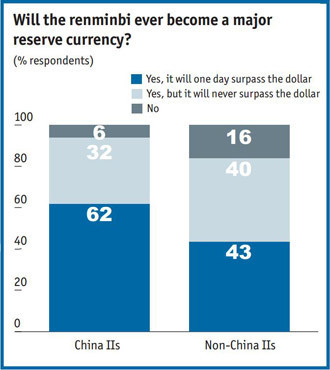 If all were to engage in competitive devaluation, no country would benefit. These talks prove G-20 members are moving toward more cooperative efforts. This will help lead the path to global economic growth, which in effect, may help increase U.S. exports and its domestic economy.